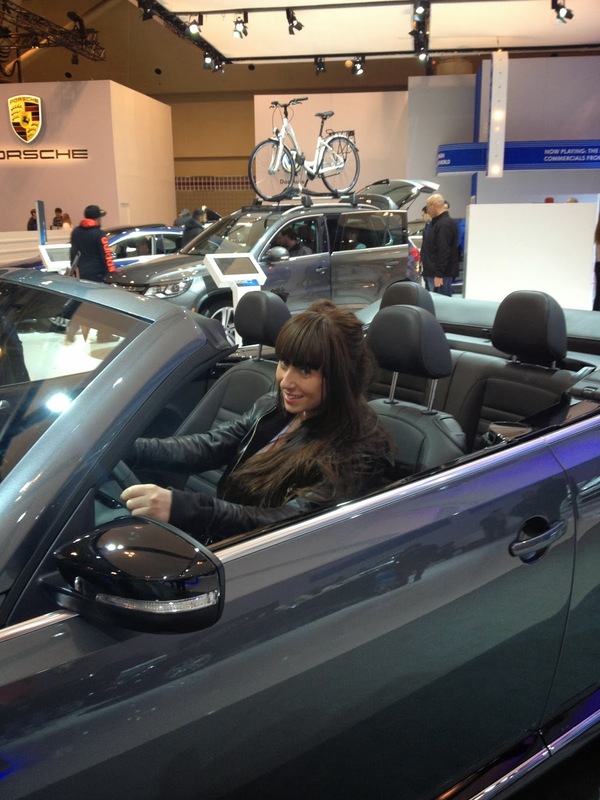 Over the weekend, I had the pleasure of visiting the Canadian International Auto Show thanks to Chevrolet Canada and Klout. Now, I will be the first to admit I do not know much about cars, but I do know driving! As I mentioned in a previous post, I have driven…A LOT! I’ve driven from Toronto, ON down to Las Vegas, NV over a one week span. After 3 months in Las Vegas, I drove up the west coast to Vancouver. Then, after staying in Vancouver for about 2.5 years, I drove across Canada, and came back home to Toronto. So…like I said, I know about driving! 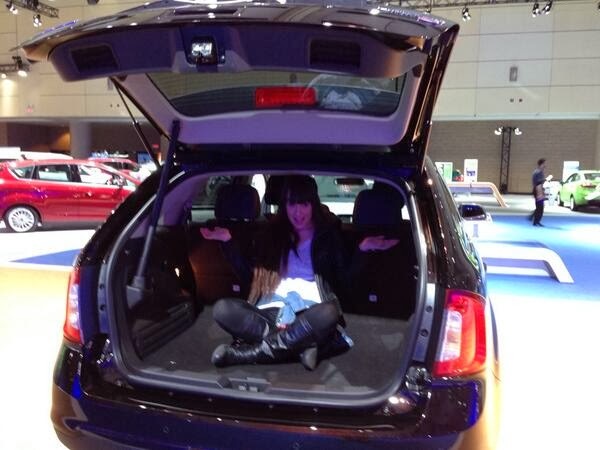 I went into the Auto Show with an open mind, now really knowing what to expect. I had never been before, but had a general idea. Boy was I wrong! This show was massive, literally! It spans over 600,000 square feet with “dazzling displays, big prize giveaways and engaging exhibits”! Walking into the show I was taken aback. There were so many beautiful cars! While walking around and checking out all the cars I was sure to find out more about the essentials. 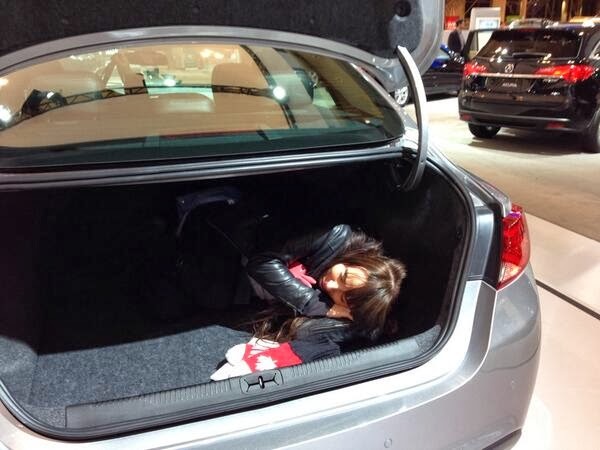 You know, like how many cup holders there are, and especially how many JennJenn’s can fit in the trunk. My friends, Andrea and Chris, and I had a great time checking out all the exhibits, event though our feet were quite sore by the end of the day! We had a lot of fun and the afternoon/evening was filled with plenty of laughs! The first car that caught my eye was definitely the Volkswagen Beetle Convertible. It is gorgeous; and actually quite spacious for a 2 door! It has a sleek, sporty design with a power-folding soft top. Guys, it even has a push-button start, awesome. 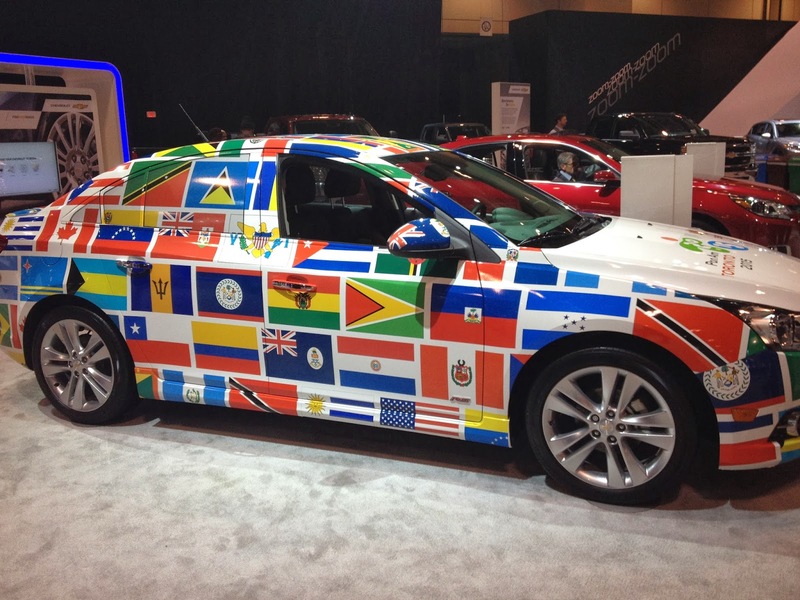 For all the specs, check out vw.ca. Once we made it to the Chevrolet exhibit, as per usual, my phone battery was almost dead. UGH. Hey, Mophie, why haven’t you made a case with bunny ears yet? Help a gal out! But luckily, Chevrolet being the super smart brand they are, thought ahead. They had multiple charging stations set up around their exhibit so I was able to give my phone a little more juice! Hooray! I wasn’t able to check out the Camaro Challenge, which was a shame, but Chevrolet had some amazing cars on display. 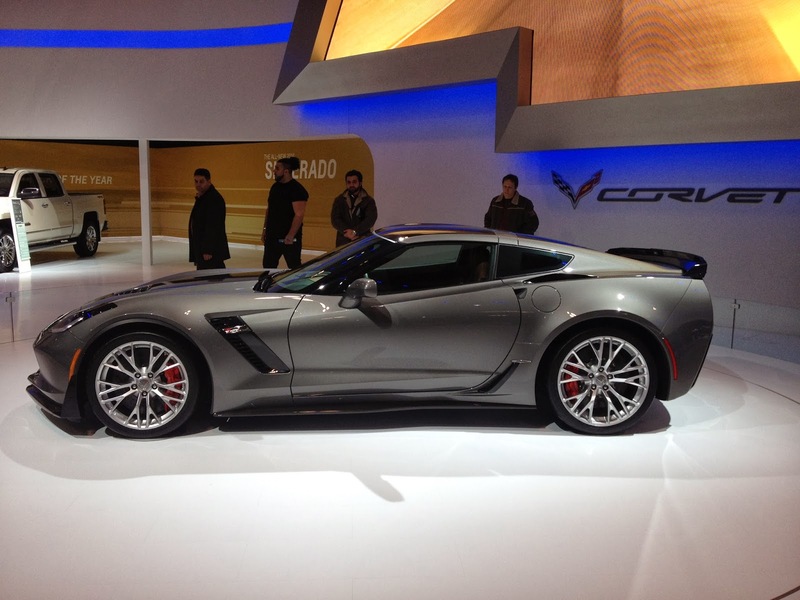 Obviously the 2015 Corvette Z06 is a show stopper with its flared fenders and wider wheels than previous versions, the exterior changes were done for functional reasons. The car is smooth and exhibits the flair only a Corvette can! Another car that caught my eye was the Chevy Cruze. The new 2014 Cruze Clean Turbo Diesel gets the best highway fuel efficiency of any gasoline or diesel car in Canada. This is not your typical compact car. The Cruze comes with more cargo space, more technology, more connectivity and more options. You can even choose between the Cruze Eco and the all-new Cruze Clean Turbo Diesel. The Cruze Clean Turbo Diesel offers the performance torque of a V6 with the efficiency of a 4-cylinder. Even as someone who is not a car enthusiast, I know this is a good thing! 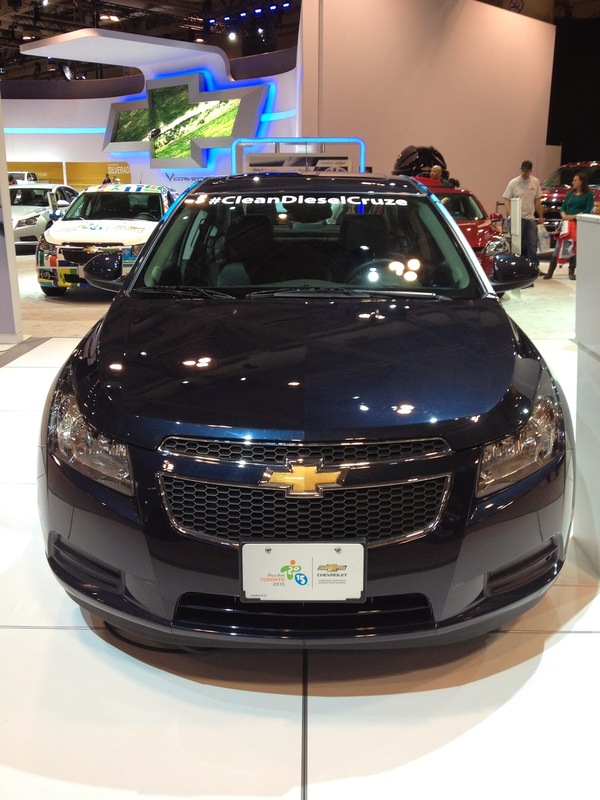 Did you know Chevrolet is a Premier Partner and the Official Vehicle of the Toronto 2015 Pan Am / Parapan Am Games? How awesome is that?! You can learn more about the Pan Am / Parapan Am Games and how you can be a volunteer HERE.